Two internal promotions at A1 Comms highlight the personal progression opportunities within the Derbyshire-based telecoms company. A1 Comms is pleased to announce the promotion of Chelsea Testro to Order Processing Team Leader, and Lisa Cooper to Customer Services and Retentions Team Leader. In her new role, Chelsea will lead the team responsible for manually progressing incomplete orders. While Lisa is to oversee the team of customer service agents. Chelsea, from Derby, previously worked in similar roles, having held jobs at Severn Trent Water and Webhelp before joining A1 Comms in 2015. In a short space of time, Chelsea has worked her way up the ranks at A1 Comms, progressing from a Customer Service Advisor, to Returns Coordinator then Order Processing Senior. Lisa, from Belper, joined the A1 Comms family in October 2017 and quickly impressed in her role. She brought with her over 25 years’ experience in customer service environments, previously working at The Derbyshire Building Society, as well as a number of other local companies. Both Chelsea and Lisa are based at A1 Comms’ headquarters in Alfreton, Derbyshire, which operates alongside a second base in Exeter, and an outbound contact centre on Pride Park, Derby. The recent promotions cap a positive end to the financial year, which has seen A1 Comms celebrate its 20 Year Anniversary, win EE’s Best Dealer award for the second year running, and once again team up with Vodafone to offer more choice to its customers. 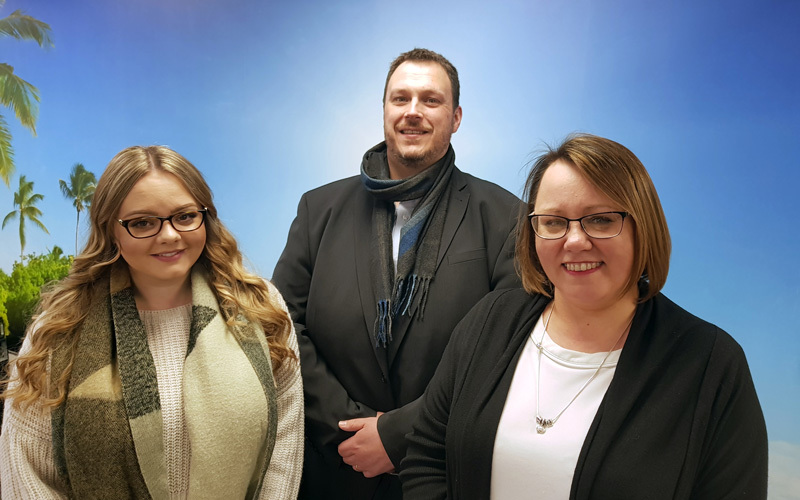 Image L-R: Chelsea Testro, Order Processing Team Leader; Matthew Way, Head of Operations and Delivery; Lisa Cooper, Customer Services and Retentions Team Leader.